For years Microcurrent has been a well-known secret of beauty professionals and A-List celebrities around the world, who often refer to this popular treatment as ‘the non-surgical facelift’, due to its ability to deep cleanse, tone, tighten and re-energies the skin. 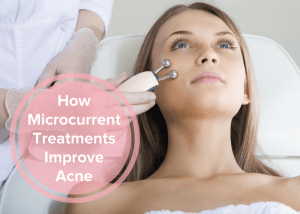 But what exactly is Microcurrent and how can it help to address acne? As an electrical procedure which can be carried out on the face, neck, back and chest areas, Microcurrent omits low frequency pulses of direct current, which are similar to our body’s own electrical signals and bio electrical activity. Originally used by Medical Practitioners to promote tissue healing and treat disorders such as muscular paralysis and atrophy, Microcurrent has over the years become a favorite skincare tool for estheticians. This revolutionaries device is perfect for enhancing the overall texture and tone of the clients skin, while also targeting unwanted bacteria and acne scarring. Many skin clinics incorporate Microcurrent into their signature facial procedures due to the multiple benefits it brings, although some prefer to offer the procedure as a stand-alone modality, to address specific concerns such as acne pitting, redness, Rosacea and the reduction of unsightly inflammation. Microcurrent is particularly effective treating acne as it destroys the bacteria, while encouraging the healing process without harming healthy skin. After a detailed consultation to check that you’re suitable for the treatment, your licensed aesthetician will thoroughly cleanse your skin before applying a generous layer of conductive gel to the area being worked on. Metal probes also known as electrodes which are usually in the shape of rollers, balls, discs or rods, will be moved in synchronicity across the face, neck or chest area, while allowing the conductive gel to penetrate into the skin. Microcurrent has multiple benefits and can be programmed to suit your specific skincare needs. 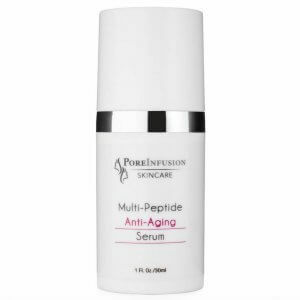 By using appropriate serums MultiPeptide Anti Aging Serum and conductive gels Hydra Gel to hydrate, contour or calm sensitive and acne prone skins. The treatment will soften scar tissue, increase circulation in the area being worked on and remove toxins through lymphatic drainage. Microcurrent treatment also has amazing anti aging benefits since it helps the regeneration of collagen and elastin in the skin. Help treat acne scarring and pitting, making scars shallower over time. Reduces redness, inflammation, dark circles under the eyes and puffiness, while also softening fine lines. 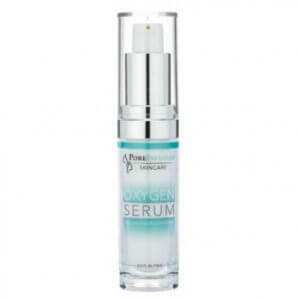 Speeds up the healing process of acne, as the oxygen released improves cell metabolism. Promotes tissue regeneration due to hydrogen being released. Kills bacteria and draws impurities out of hair follicles preventing new pimples forming, while reducing blackheads and enlarged pores. Stimulates fibroblast cells which enhance collagen, elastin and ATP (adenosine triphosphate), which is required to provide energy for cellular activity. Helps the lymphatic drainage and improves metabolism due to increased blood circulation which helps eliminate toxins from the skin. 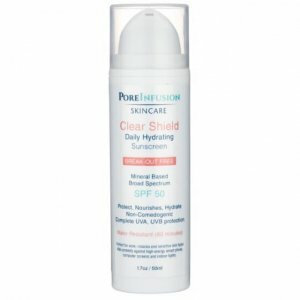 Helps product penetration through the cell membrane and it will deliver the active ingredients deep into to pores. 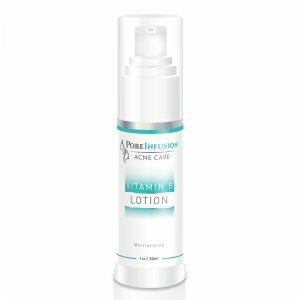 Improves acne, scarring, lines, wrinkles and with consistent use it will provide noticeable lifting and tightening of the skin. At Envision Acne and Skin Care Center we encourage our clients to have regular Microcurrent treatments, to support their skin transformational program and home care routine. How often should I have a Microcurrent treatment? Depending on the severity of your acne scarring we’d advise that you book a course of treatments, which can be carried out on a twice weekly basis. Once your acne is under control and scarring has significantly improved, visits can be reduced to monthly. Can Microcurrent be used with other acne devices to speed up the elimination of pimples and inflammation? No Microcurrent operates on a low intensity direct current. As a non-invasive treatment which doesn’t use heat or physically break the skin, the procedure is entirely pain free, with no side effects. Many clients actually fall asleep as a result of the relaxing movements carried out. Will I feel my muscles contracting? You may feel some muscle contraction under the skin depending on how strong your muscle tones. The intensity of the simulation of the motor nerve is quite low, however both internal and external activity will take place as a result of the electrical current and conductive gels used. You will feel incredibly relaxed after your treatment and be able to see a significant improvement in your skin tone and reduction of acne related inflammation. As with many aesthetic treatments of this nature, consistency is key and the more frequently you have a treatment, the greater the results will be. Do you need expert skin care advice from an Acne Specialist? Schedule your appointment for a consultation to get personalized advice on products and treatments that are right for you. 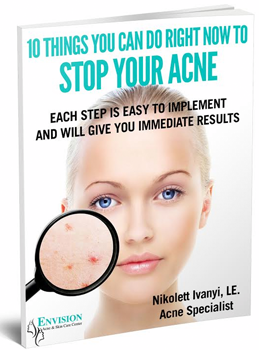 © 2016 Nikolett Ivanyi, Envision Acne Center; For more information go to www.envisionacnecenter.com.